MS is appreciative of the contributions made by our community partners who donate a percentage of sales to support people living with multiple sclerosis. The Ritchies Community Benefit Program supports MS by donating a percentage of the money spent by participating customers to their nominated cause. Support MS every time you shop with Ritchies by joining the Ritchies Community Benefit Program! Simply ask for your free Ritchies Community Benefit Card at your nearest Ritchies supermarket or liquor store and select MS as your nominated cause. CB number 90090 (VIC) or 90697 (NSW). When your Ritchies Community Benefit Card is scanned at the checkout, a donation of 0.5% of the purchase will be made to MS! In 2017, MS raised $2,685.87 through the Ritchies Community Benefit Program, which has donated more than $156,000 to MS since the inception of the program! 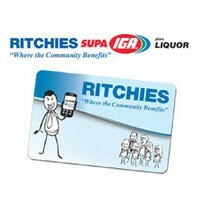 Find your local Ritchies store or find out more about the Ritchies Community Benefit Program. Charity Greeting Cards and Charity Hampers are proud to support MS with assistance from their loyal customer base. Charity Greeting Cards can be personalised online with options to choose your own greeting and include a full colour logo, while supporting MS. A wide range of printed and e-cards are available for all occasions! 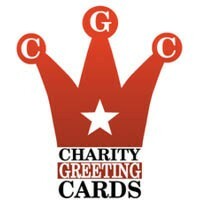 Charity Greeting Cards donates 40c from each printed card sold or 20% from each e-card purchase to the customers’ selected charity. There’s also a range of gift hampers and baskets available from Charity Hampers with 10% from each sale donated to the nominated charity, so make sure to select MS! Charity Greeting cards donated $2,887 to MS in 2016 and has donated over $10,000 to MS in the last 3 years! Purchase your personalised greeting cards supporting MS or browse the range of hampers supporting MS.
Treloar Roses is proud to support MS by donating $1 from each sale of the Betty Cuthbert Rose. This beautiful soft apricot rose has been named to honour the late Betty Cuthbert’s work to raise awareness for multiple sclerosis while supporting MS. In 2016, Treloar Roses donated $276 to MS. Treloar Roses have contributed $7,110 to MS since 2010 through sales of the Betty Cuthbert Rose. 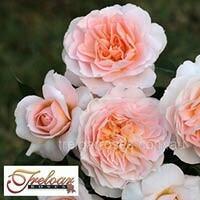 Purchase your Betty Cuthbert Rose from Treloar Roses and support MS. Interested in becoming an MS Community Partner? We welcome enquiries about becoming an MS Community Partner. Please get in touch with the MS Community Fundraising team via communityfundraising@ms.org.au.